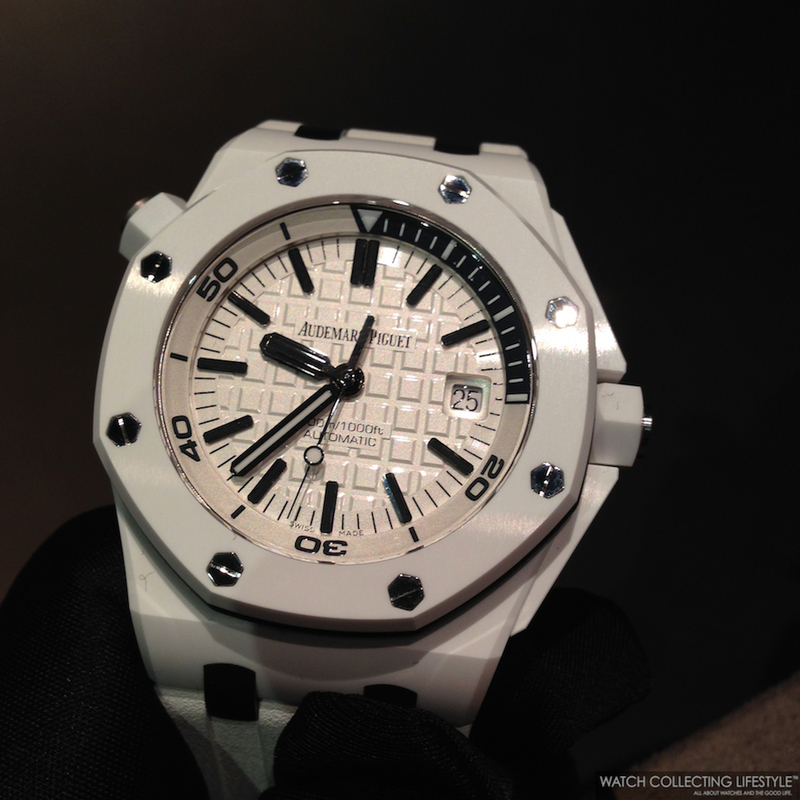 SIHH 2014: Audemars Piguet Royal Oak Offshore Diver White Ceramic ref. 15707CB. Live Pictures and Pricing. Sticker Price $23,900 USD. For more info on Audemars Piguet click here. Posted on January 22, 2014 by Editor & Publisher and filed under Audemars Piguet, SIHH and tagged Audemars Piguet Royal Oak Offshore Diver ref. 15707CB.